Did you ever have one of those actors who seems to play roles you never warm up to? Sendhil Ramamurthy was one of those actors for me. Throughout Heroes and then in Covert Affairs, I would cringe every time he was on screen. I even had the opportunity to meet him for Covert Affairs at Comic-Con in 2011, and he was sweet as pie. It didn't matter. I still couldn't watch his character on the show. It was inexplicable. The funny thing was, I had a friend, I'll call him Nick (because that's his name). He felt the same way. Being a member of the press, we get to see some episodes of shows ahead of time. One day I was watching an upcoming episode of Covert Affairs at work and chatting with Nick. He said something to the effect that he'd never watch the show again unless "that guy" was killed off. Literally, as Nick was speaking that sentence, Sendhil's character, Jai, got up from a booth at a restaurant he was at with the lead character, Annie, walked to his car, got in and it exploded. It all happened in a matter of seconds - the sentence from Nick, Jai getting up from the table and disappearing from the Covert Affairs canvas. I remember my mouth dropping open and saying, "Well, Nick, unless they're going to put him back together like a puzzle, you can watch Covert Affairs again!" The timing was so impeccable and it was so weird that out of the blue Nick said he'd never watch until Jai was killed that we couldn't stop talking about how cool it was. It's on of my favorite "odd timing" stories to tell. Skip forward in time and Sendhil was joining one of my favorite shows: Beauty and the Beast. I said to Nick - you aren't going to believe this. Of all the actors in the world, guess who is joining my favorite show. He said, "I'd only be pissed if it was that Heroes/Covert Affairs guy." Bingo!! Honestly, I was filled with dread. Really, I was. I'm sorry, Sendhil. Your characters were just awful on those shows. Flash forward to Beauty and the Beast and I am so happy you are a part of the cast. 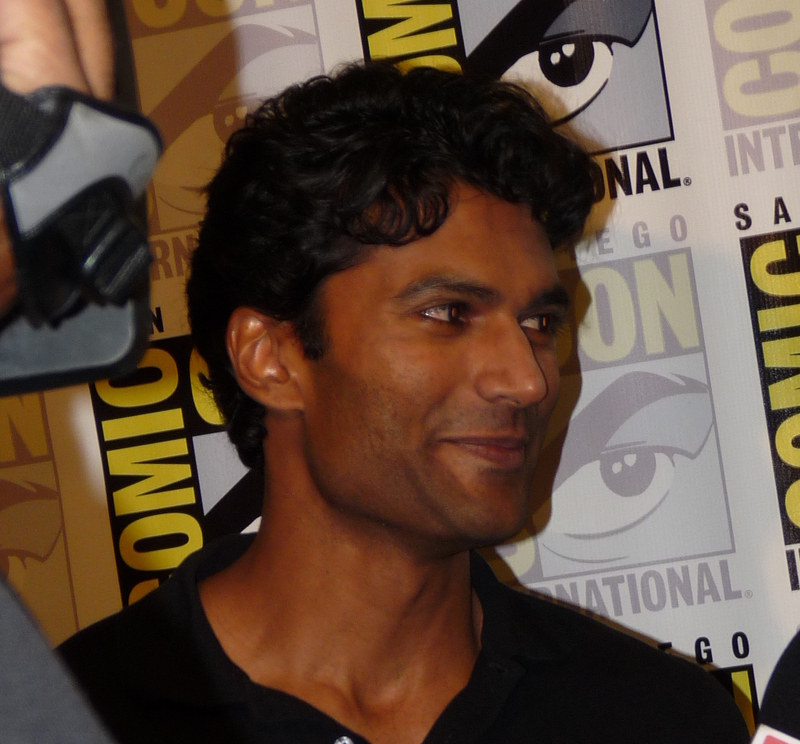 First, I got the opportunity to interview Sendhil for TVFanatic.com before I ever saw him in an episode. His enthusiasm was incredible and catching. And, just like when I met him the first time, he was sweet and funny. He's a genuinely nice guy who was strapped with horrible characters. Now, on one of my favorite shows, his addition to the cast has actually made the show better. Imagine my surprise at that one. His character is witty, mysterious and they're building a great back story that viewers genuinely want to follow. So, Sendhil, I have your back. I will never judge you by your characters again. I'll judge the writers for giving you poor material because I know what you're capable of giving. Your scenes are electrifying and I apologize for once being so happy to watch your character blow to pieces on that other show. Covering Beauty and the Beast was a total fluke this season, just as it was that Sendhil ended up joining the show I was reviewing. For both, I am grateful. The whole package makes my week and I cannot wait until season two. SEASON TWO!!! Meet me over at TVFanatic.com later tonight for a rundown of a Sendhil laden episode.